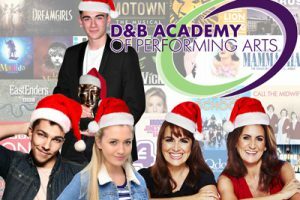 D&B Management will be holding auditions for children and young adults looking for representation in TV & Film. If you would like to be considered you must fill in this form and we will be in touch to arrange an audition slot as different age groups will be seen at times throughout the evening. Alternatively please call 020 8698 8880 and we would be happy to help you. There is nothing to prepare for the auditions and we look forward to meeting with boys and girls aged between 5 and 25 who are London based.